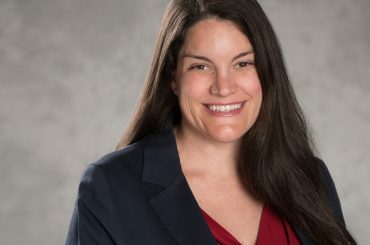 Caitlin Connolly transitioned into the role of NELP director of social insurance in December 2017, after previously serving as home care campaign coordinator. With the help of Caitlin’s passion and expertise, NELP and its allies are supporting implementation of wage-and-hour protections granted in 2015 to nearly two million home care workers, who were long excluded from the protections of the FLSA. Moving forward, Caitlin is focused on pushing states and employers to take the necessary steps to implement the rules, while working with NELP’s partners to make sure that home care workers know their rights and see improved wages and conditions that reflect the value of their work. Caitlin came to NELP with a depth of public policy experience and knowledge surrounding issues related to elder care, having served as the project director of the Eldercare Workforce Alliance, a coalition of national organizations committed to providing older adults with quality care by strengthening the workforce trained to care for them. Previously, she worked on quality, research, development, and policy issues as a senior project manager at the American Geriatrics Society. She also has eight years of direct experience working with older adults, people with disabilities, children, youth, and families in low-income, supportive, and public housing. Caitlin has been quoted for her expertise on issues affecting home care workers in the New York Times, USA Today, Forbes, and Bloomberg, among others. The legislation would harm millions of people and decimate home care services. The division will help hundreds of thousands of New Yorkers who work in home care and child care. The industry’s last-ditch effort to block home care workers from having federal minimum wage and overtime rights has failed. Home health aides, personal care attendants, and certified nursing aides top the lists for workplace injuries, illness, and violence. 83 percent of home care workers report overtime violations. Home care workers are now finally covered by federal minimum wage and overtime laws. As more Americans need long-term care, making home care jobs into quality jobs is critical, says NELP’s Caitlin Connolly.